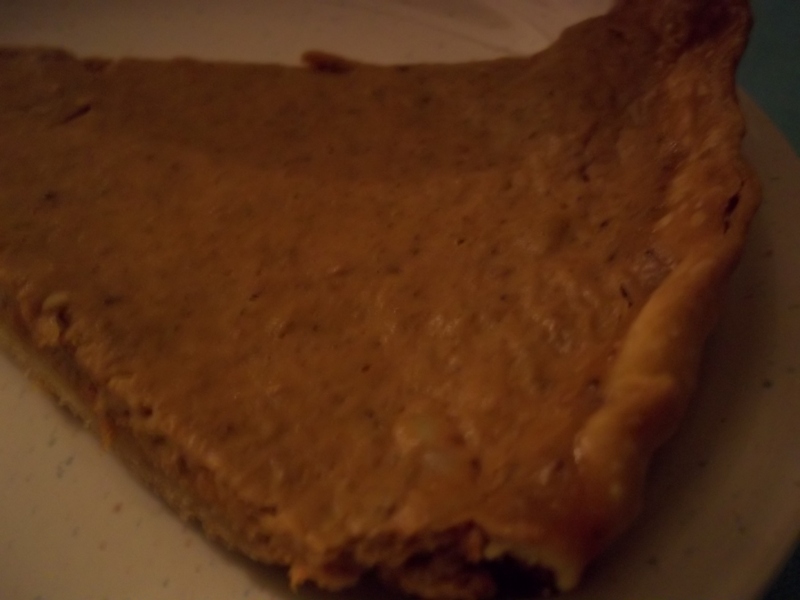 That, my friends, is a pumpkin pie. Keeper’s first, and he loved it. I combined two recipes, using one from Jamie Oliver and another from the Guardian. The secret? Two tablespoons of rum (well, alright, I used brandy in the absence of rum). The taste? Delish! Next time I would separate the eggs and whisk the whites for a mousse-y rather than custardy texture, blind bake the base for less time (20 minutes is too long and left it hazardously close to burning), and, of course, add more alcohol. 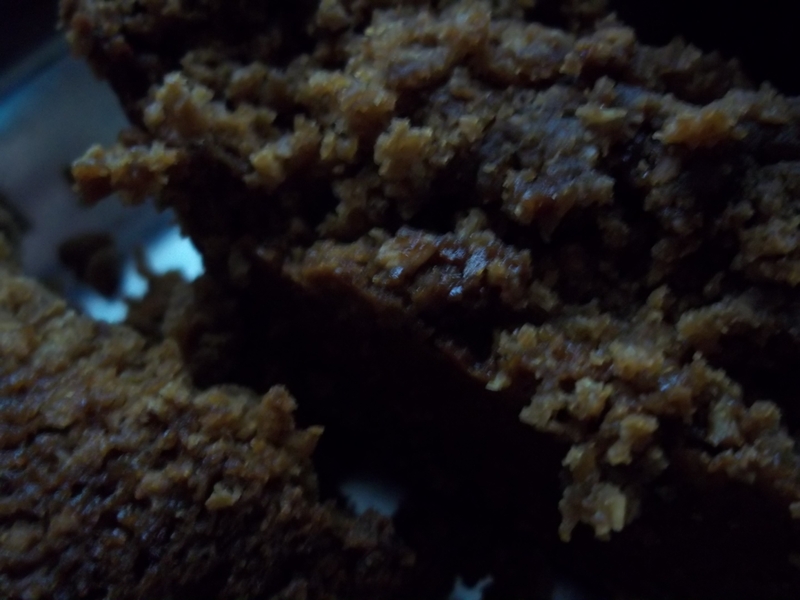 I could not be prouder of this parkin if I had given birth to it. It is AMAZE. But nonetheless, one slice is still more than enough (it’s very filling thanks to the oatmeal), meaning one tin lasts ages. YAY. I used this recipe, which gives just the right amount of spicy satisfaction. Eat with Lapsang Souchong for ultimate Bonfire Night goodness. I have reviewed the Hind’s Head before, so to do so again arguably seems like a bit of a cheat, especially given that this area of Britain is truly a culinary epicentre (why review the same place again when there is so much more left to visit?). But I review again not without good reason. On my last visit, it was lunchtime and the service seemed haphazard despite there only being 3 of us. On this occasion we were a party of 8, and it was evening, so I was expecting a different experience all round (except, hopefully, for the quality of the food). Thankfully there was not a shade of disappointment, the whole thing going off without a hitch (well, apart from the triple-fried chips not being available due to something about the quality or type of the potatoes at this time of year not being suitable). The traditional British pies and puddings (steak and kidney; chicken and mushroom) served went down a treat all round the table, and the wine chosen to go with it all (a Cabernet Sauvignon from Chile) was equally agreeable, although your best bet off the list is probably any Old World wine under £35. But the star of the show on this occasion was the desserts. Faced with a choice from the set menu of Banana Eton Mess versus the mysterious Quaking Pudding, the French contingent went for the latter. This mediaeval confection is best described as being like an English pannacotta, although perhaps not as firm. It’s called a “quaking pudding”, according to the information card that was brought with it, due to the fact that it “quakes and shakes like a jelly when it is served”. An unusual end to any meal! However, as someone who ordered off the à la carte menu, I went for, on the recommendation of my sister, who had had it before, the equally intriguing Chocolate Wine Slush, and then proceeded to make myself look like a total piglet as I vacuumed it up. While my sister continued to poke daintily at its yumminess with a spoon, I had time to read the information that came with it. Chocolate wine was considered an aphrodisiac in the 18th century, and the chef has put his own modern twist on this by turning it into a shot glass of red wine slushy (the earliest recipe dates from 1694, and is a mousse-like granita known as scomigilia di ciocolatte, FYI). It came with the finest, most delicate slice of millionaire’s shortbread you have ever seen, topped with a flake of gold leaf. My relationship with millionaire’s shortbread is a bit of a love-hate one; I see it and think “ooh, that looks nice” and then eat it and feel sick. This, however, has a level of refinement previously unknown to this humble dish, being thin and with an intensely concentrated flavour, rather than being over-sickly slabs. Truly, this, combined with the Chocolate Wine Slush, could be my Last Supper dessert and I would die HAPPY. But perhaps more valuable to the Hind’s Head than my own assessment is the impression made on our French guests (of which two had never been abroad, let alone to England, and of which one could count the number of her UK visits on one hand). The two UK ‘virgins’ happily enjoyed every aspect of the British foodie experience, from the Hind’s Head food to the full English breakfast served at our home the morning after; my sister-in-law went one better, though, and claimed that the food at the Hind’s Head had ‘restored her faith in British cuisine’. CASE. CLOSED. Is veganism the future of food, or a cynical marketing fad? Get your free Graze box!